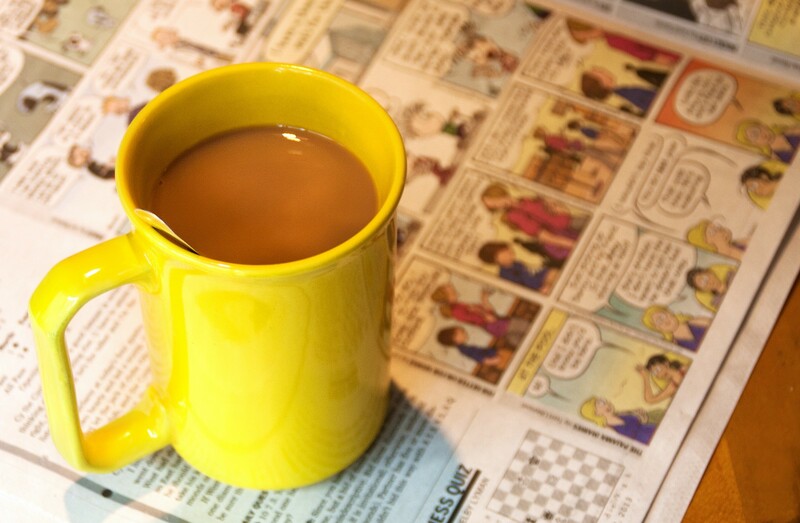 “Morning Routine” Flickr photo by Liz West shared under a Creative Commons (BY) license. One of the best things about being a freelance writer is the ability to control my day. For the most part, this is completely amazing, but sometimes having too much freedom can backfire. If I don’t structure my workday, I’ll fail — it’s that simple. Personally, I’m always looking for new ways to become more efficient. I’m constantly trying to figure out if I should get up earlier, sleep later, or exercise at lunchtime to maximize productivity. I’ve determined it’s a work in progress, and I’m okay with that. Some aspects of my daily routine change frequently, but I couldn’t function without the following three practices. Hopefully, you’ll find them helpful as well. When clients count on you to complete work by a certain date, you can’t let them down. If you think you’ll remember when each assignment is due, you’re crazy. Personally, I put each and every assignment on my Google Calendar. I delete it as soon as I submit it to the client, which makes it easy to know exactly what’s on my agenda. People always tell me they wouldn’t be able to motivate themselves to get work done if they were a freelancer. The thing is, if I don’t work, I don’t get paid. Admittedly, sometimes it’s quite tempting to spend a Tuesday on the couch watching Lifetime movies all day, but I don’t. When I first struck out as a freelance writer, I set a daily monetary goal for myself. This makes it easy to stay motivated on days when I don’t have any deadlines, and keeps me from falling behind. Of course, the goal is just a guideline and there are many days where my earnings are above or below it, but it’s a hugely effective way to stay on track. It recently occurred to me that I spend way too much time on the Internet — non-work-related — during the day. Constantly checking sites like Facebook does nothing but disrupt my train of thought and make assignments take double the time to complete. Thankfully, I found the most amazing answer to my little problem — the Block Site Chrome extension. This amazing tool allows me to block distracting websites during set time periods each day, which helps me stay focused. It also has a work mode setting that allows you to block any website(s) you want for 25-minute increments. I can’t tell you how much time this extension has added back into my day, and I’m sure I’m not the only one. Laura Woods is a Los Angeles-based freelance writer. Follow her on Twitter @MrsLauraWoods.